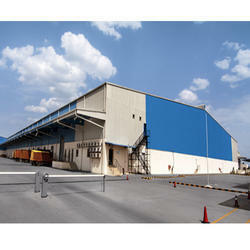 We are one of the leading manufacturer and supplier of Prefabricated Structure. Our offered Prefabricated Structure are manufactured from high quality raw material procured from the reliable vendor as per the norms of the industry standards. These are manufactured under the guidance of our expert professional who had profound knowledge in their respective domain. We also deals in the manufacturing of Prefabricated Tubular Structure, Solid Pre Fabricated Structure, Steel Pre Fabricated Structure and Prefabricated Office Structure. We designed these Prefabricated Structure as per the specification of the client. Moreover, client can availed these product from us at reasonable prices. 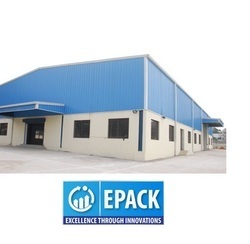 The latest manufacturing facilities have made it possible for company to present out a quality range of Prefabricated Industrial Structure to our customers. The design flexibility of modular construction has enabled the laborious task force to develop a quality proven range of product that is best compliment for office requirement. Machine processed wood, steel and other necessary materials are assembled together to manufacture a structure. Our Prefabricated Structure then made fitted and inspected at every single stage to make certain that no flaws are left. On the spot manufacturing and performance accuracy is examined by redundant quality check. With the help of our team of technical professionals, we are engaged in offering superior quality Prefabricated Structure. Fabricated under the observation of qualified engineers using premium grade materials, this is used as portable accommodation for major companies. It is widely appreciated among our clients for their attributes like attractive and well furnished interiors, less maintenance and easy installation. Widely demanded among our customers, this can be availed from us in diverse shapes, finishes and standard as well as customized sizes. 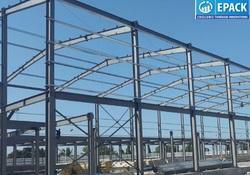 We introduce ourselves as the leading organization of a huge assortment of Steel Pre Fabricated Structure. This is manufactured using high quality steel in accordance with set industry norms. Known for its corrosion resistance, high light reflectivity, temperature resistance, and elevated strength, this is passed through special coating treatment, which ensures its durability. Our clients can avail this from us in different specifications at market leading rates. 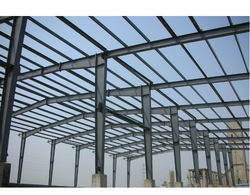 Our Pre Fabricated Steel Structure are medium to substantial size steel structures comprising of essential and auxiliary steel basic edges laying on common establishments and furnished with suitable material, side cladding and water down take game plans. Every steel pre fabricated structure is independently and separately intended to suit the particular application (end use), size and land area. In perspective of the numerous points of interest of theories structures over different sorts of structures and structures, they are in a perfect world suited for a wide range of medium to expansive size steel structures.